Those looking to upgrade to a brand-new new property in 2018 will be pleased to learn that Jelson Homes is hosting its first exclusive home buyers’ weekend of the year, this month. The event is taking place at the developer’s popular Thurnmead development off Pulford Drive, Thurnby on Thursday 15 to Sunday 18 February 11am-5pm, with late night opening on Thursday 15 February only from 5:30pm until 8:30pm. Prospective purchasers are invited to learn more about Jelson’s part-exchange plan, which can save money on estate agent’s fees as well as an awful lot of time and hassle; there will also be the opportunity to talk to specialist advisers from Meridian Mortgages in Leicester, who will have access to a wide range of mortgage products. 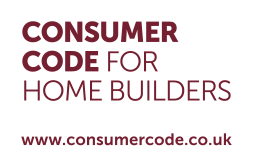 And Jelson’s sales advisers will be able to furnish full details of the Government’s Help to Buy scheme, which is also available at Thurnmead, if part exchange is not for you. There’s a super selection of designs ready for immediate occupation at Thurnby, such as the three-bedroom, semi-detached Exton, the three-bedroom, detached Tawny and the four-bedroom, detached Kittiwake. These ‘next step’ luxury homes are the perfect place to unpack the boxes from an older house and create an enviable lifestyle in a brand-new property, with the utmost of ease. Add the option of Jelson’s part exchange† plan and you could make it a really smart move; the process involves an independent estate agent valuing your existing property and, once you’re happy with the offer and it is accepted, you can then concentrate on moving into your brand-new Jelson home of choice at Thurnmead. Importantly, with part exchange, purchasers can avoid the many pitfalls, stresses and strains that are so often linked to home-buying chains, which often break down during the traditional buying and selling process. Jackie Woodward, sales manager for Jelson Homes, comments: “We’re looking forward to helping many prospective customers realise their home moving dreams at our first home buyers’ event this year. In addition to the benefits of part exchange, each and every Jelson home benefits from Jelson’s very own unique selling point, the ‘Jelson Difference’, which is what the company’s reputation has been built on from its beginnings over 125 years ago. From the moment customers choose which Jelson home they would like to live in, they can be assured of a first class service from the beginning of their hunt, right through to the handover of keys.  With Jelson, customers can rest assured they will be in great hands for their next house move! †Part exchange is available on selected plots only. Offer not in conjunction with any other offer. We reserve the right to refuse part exchange.